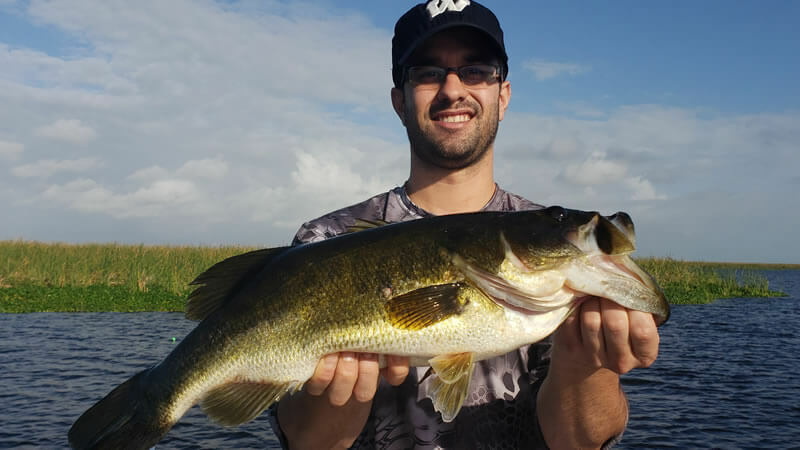 Central Florida is a Mecca for freshwater bass fishing. Florida is known to hold some excellent fishing for largemouth bass. When you adventure out here, you are most certain to experience your personal best fishing trips. Hop on board with one of our local experts and we will guide you to that fish of a lifetime. 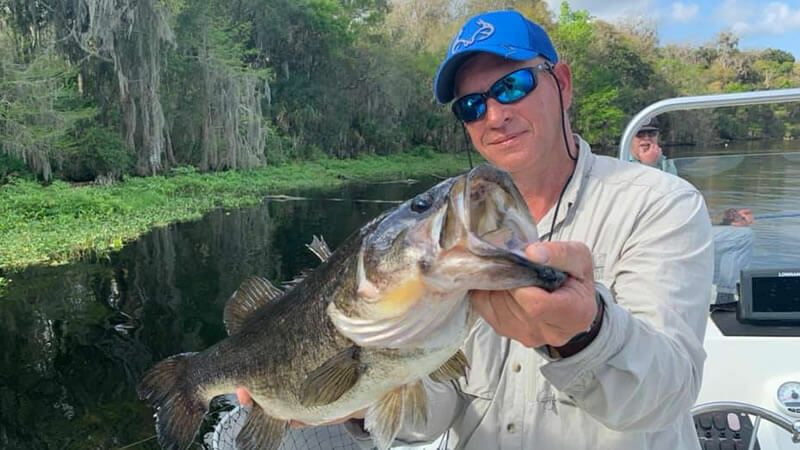 Captain Steve Niemoeller is a seasoned and local expert that has been fishing in Central Florida for years. Lake Toho Bass Fishing is one of his many specialties. Captain Steve had the pleasure of fishing with Brian and his son Dylan and his girlfriend Diane. They were traveling from Canada to Central Florida for a convention. While they were here, they had to get out on the water and go bass fishing. Brian, Dylan and Diane are used to fishing for smallmouth bass in Canada. 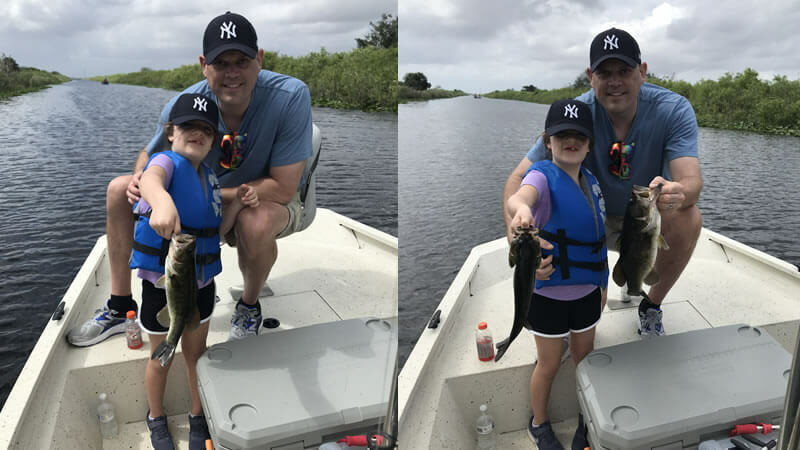 They wanted to truly get to experience what Florida bass fishing is all about. 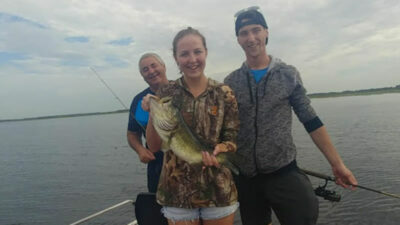 The bass fishing was fantastic on this fishing trip. They caught some quality numbers on wild caught live shiners. Diane caught the biggest bass of her life weighing in at 5.3 pounds. 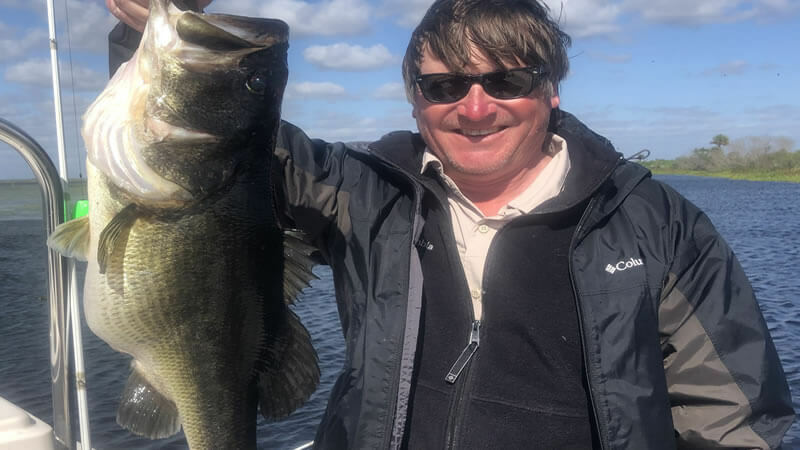 Captain Steve is looking forward to the opportunity to catch another big bass with them next time they are visiting Lake Toho! Just shortly after this fishing trip, another incredible location produced an amazing fishing trip. The Butler Chain of Lakes is located in Windermere, Florida right outside of Orlando. Captain Brent Nelson had the pleasure of fishing with Joe and Leslie who were traveling from Colorado. These friends put a smack down on the largemouth. They adventured out on a 8 hour fishing trip putting big numbers of quality largemouth bass in the boat. The Butler Chain is highly productive for both artificial baits and live bait. During the morning hours, they fished wild shiners over main lake grass patches. Also, trolling shiners along hard lines can produce a great bite. 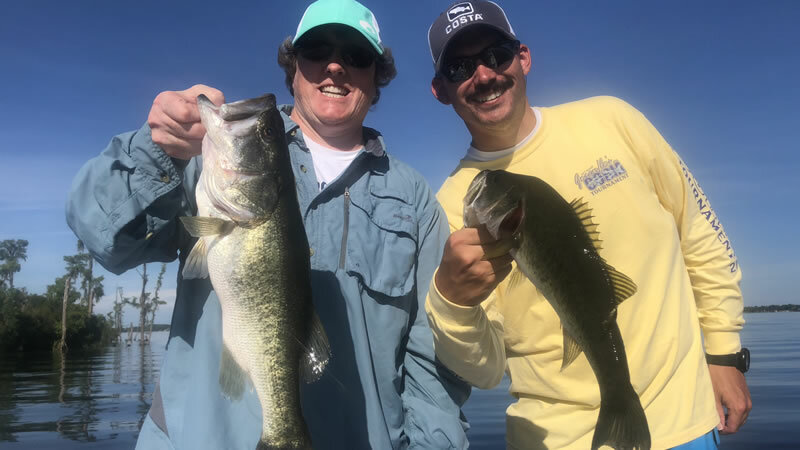 Joe and Leslie also threw some artificial baits and caught them on flukes, speed worms, swim baits and top water baits on schooling fish. They caught 48 Florida largemouth bass weighing up to 5 pounds. Captain Brent is looking forward to having another successful and great day on the water with these lovely people! 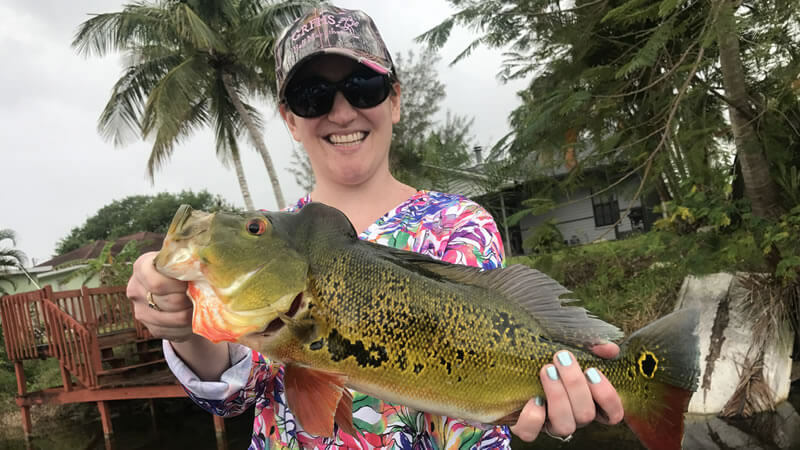 Don’t miss out on your Central Florida fishing adventure next time visiting. You won’t regret getting out on the water and enjoying some quality time in the outdoors. We look forward to seeing you on the water next time!